DOVER – DNREC Fish & Wildlife Natural Resources Police officers arrested three Kent County men in the Farmington area Thursday night as the result of an enforcement operation to deter nighttime hunting activities. 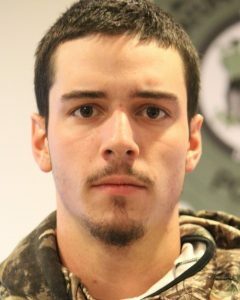 Jeremy V. Fennell, 19, of Felton, was charged with one count each of conspiracy 3rd degree; hunting deer during a closed season; hunting at nighttime; possession of a loaded firearm in a motor vehicle; unlicensed hunting; failure to complete an approved hunters safety course of instruction; failure to tag antlerless deer; failure to retain tag on antlerless deer; failure to check antlerless deer within 24 hours; unlawfully removing antlerless deer parts prior to checking; trespassing to hunt; possession or transport of an unlawfully taken antlerless deer; hunting with an unplugged shotgun capable of holding more than three shells; hunting from a motor vehicle; and underage possession/consumption of alcohol. Fennell was arraigned at Justice of the Peace Court 7 in Dover, where he was released on a $2,650 unsecured bond pending a future court appearance in the Kent County Court of Common Pleas. Benjamin E. Clay, 19, of Felton was charged with one count each of conspiracy 3rd degree; hunting deer during a closed season; hunting at nighttime; possession of a loaded firearm in a motor vehicle; shooting within 15 yards of a public roadway; hunting rabbits out of season; trespassing to hunt; hunting with an unplugged shotgun capable of holding more than three shells; hunting from a motor vehicle; and underage possession/consumption of alcohol. 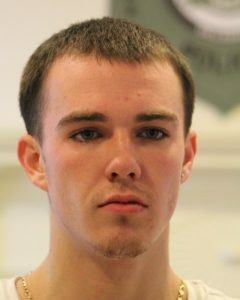 Clay was arraigned at Justice of the Peace Court 7 in Dover where he was released on a $2,400 unsecured bond pending a future court appearance in the Kent County Court of Common Pleas. John K. Burch, 18, of Harrington was charged with one count each of conspiracy 3rd degree; hunting deer during a closed season; hunting at nighttime; possession of a loaded firearm in a motor vehicle; hunting without a license; shooting within 15 yards of a public roadway; failure to complete an approved hunters safety course of instruction; failure to tag antlerless deer; discharging a firearm within 100 yards of an occupied structure; trespassing to hunt; possession or transport of an unlawfully-taken antlerless deer; hunting with an unplugged shotgun capable of holding more than three shells; hunting from a motor vehicle; and underage possession/consumption of alcohol. 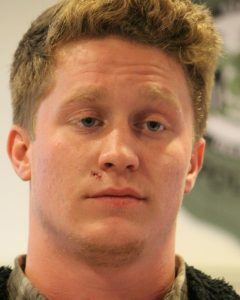 Burch was arraigned at Justice of the Peace Court 7 in Dover, where he was released on a $3,100 unsecured bond pending a future court appearance in the Kent County Court of Common Pleas. As a result of the arrests, Fish & Wildlife Natural Resource police seized a Chevrolet pickup truck, a shotgun, and numerous other hunting-related instruments. One antlerless deer was also seized and donated to DNREC’s Sportsmen Against Hunger program. Contact: Sgt. Brooke Africa, Fish & Wildlife Natural Resources Police, 302-739-9086 or 302-382-7167; or Joanna Wilson, DNREC Public Affairs, 302-739-9902.